Lion Nathan launched its first campaign for Boag’s Draught in Australia in September 2008, with “The Great Tasmanian Pipeline”, highlighting the beer’s availability on-tap in mainland Australia. 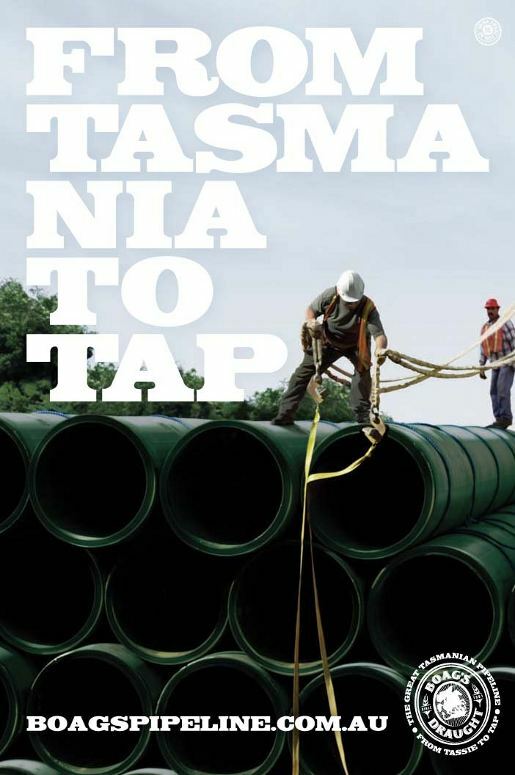 The campaign was based on a green pipeline network that pumps Boag’s Draught from the brewery in Launceston across Bass Strait directly to mainland venues. A fake public awareness campaign, consisting of fly posters, venue posters and informational pamphlets, informed the community of the infrastructure project and explained why such a pipeline is a “worthwhile endeavour”. The Pipeline campaign online at www.boagspipeline.com.au pipeline project manager who gives tours of the inner workings of the project via videos, newsfeeds and updates. The site also features online consumer promotions and product give-aways. The campaign was also provided with a Facebook group. 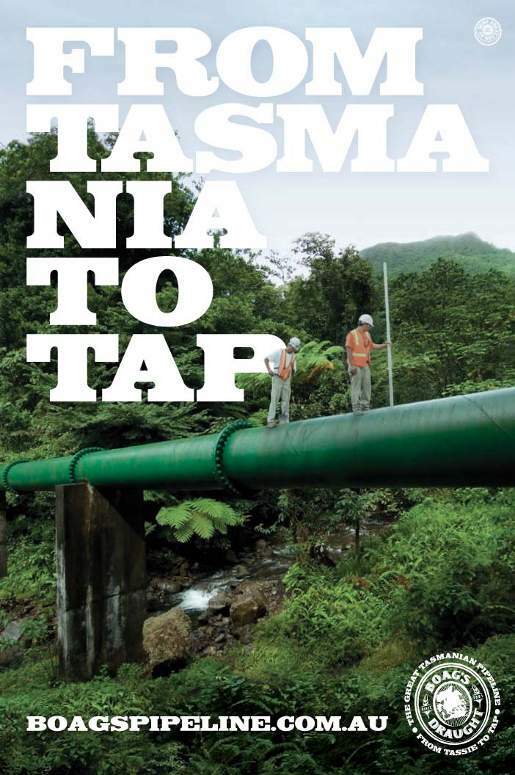 The Great Tasmanian Pipeline campaign was developed at Boag’s by marketing manager Raniero Miccoli, brand manager Richard Spicer. PR was handled at Zing by offline account director offline Mike Maurice and online account director Sean O’Byrne.